Stone Town…may not have a particularly romantic 1911 much name, but Stone Town, is the capital and cultural heart of Zanzibar, little changed in the last 200 years, A labyrinth of winding alleys, bustling Old bazaars, mosques and grand houses Portuguese whose extravagance is reflected in their took brass-studded, carved, wooden doors. The National Museum is a good starting point for finding out more of events. 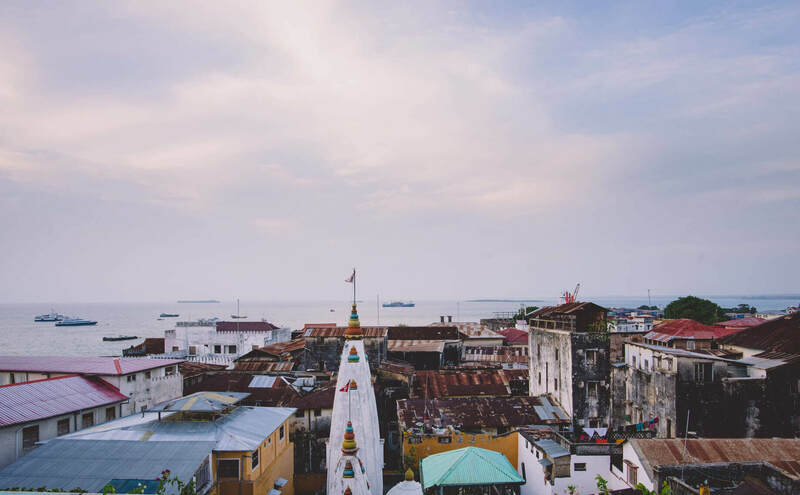 The history and culture of Zanzibar, ormate opened in 1925 and contains relics which from the time of the Sultans and the excellent early explorers, as well as traditional Court carvings and exhibits of local wildlife, English including a good collection of birds and reptiles. Another “must” is the House of Wonders, with its pillars, fretted balconies and intricately carved doors. It was built by Sultan Barghash in 1883 and was occupied by the British in 1911 when the Sultan moved to the much less pretentious palace, now called the People’s Palace, on the other side of the street. 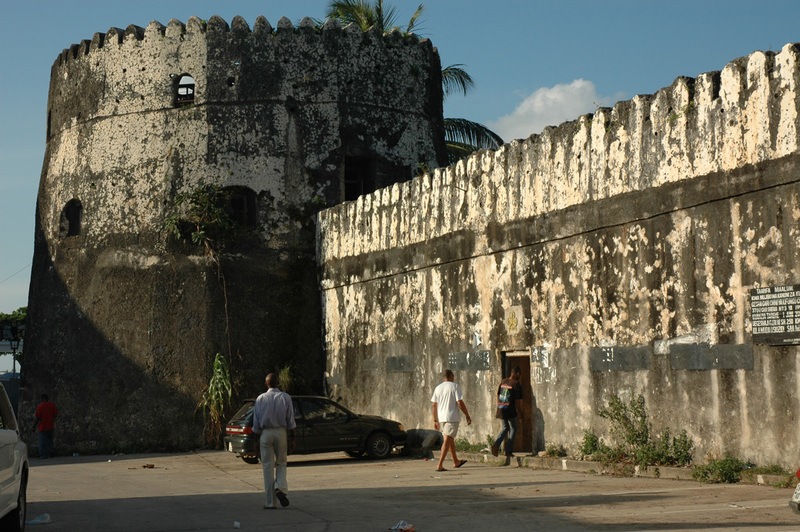 Next to the House of Wonders is the Old Fort, built on the site of a Portuguese church when the Arabs slave took over the island, and now the venue for many of Zanzibar’s numerous theatrical and musical events. Perhaps the most impressive, ormate building is the Old Dispensary which has recently undergone excellent restoration work. 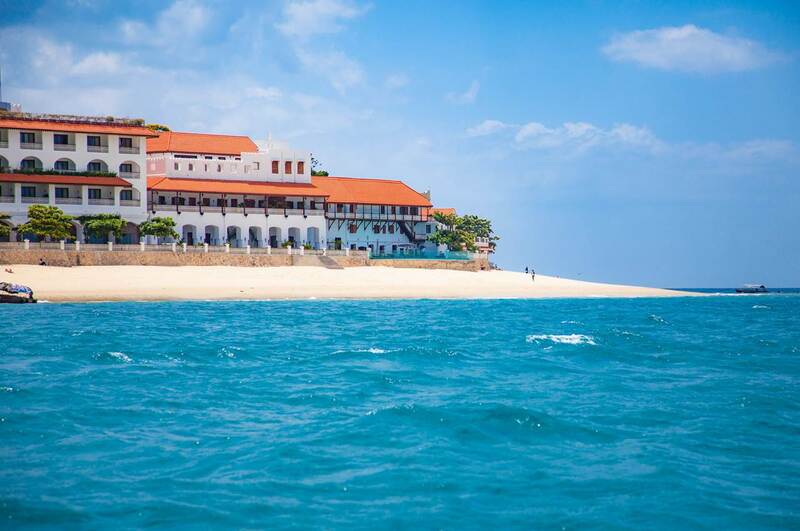 North of stone town are the former places of Maruhubi and Mtoni. The ruins of Maruhubi offer a tantalising glimpse of the former grandeur of this palace, built by sultan bargash in 1880 to house harem but burned down in 1889. The palace of Mtoni suffered a similar fate. Dating back to the early part of the 19th century, it once housed 1,000 people. Inland from here are the Kidichi and Kizimbani Persian Baths, built in 1850 for the Persian wife of Sultan Said, and Dunga Ruins, a palace built between 1846 and 1856. Further north are the Coral Cave and Mangapwani Slave Chambers, used to conceal slaves at night, and Tumbatu Island with its numerous Shirazi Ruins. South of Stone Town are the remains of the Mbweni Palace and Chukwani Palace while, to the east, are the Bikhole and Unguja Ukuu Ruins. The latter is the site of the island’s oldest known settlement dating back to the 8th century. Still further south is the former walled city of Kizimkazi, where the ruins of Shirazi Mosque, part of which dates back over 900 years, are found. A coral stone inscription provides evidence of its age, making this one of the earliest Islamic buildings in this part of East Africa.